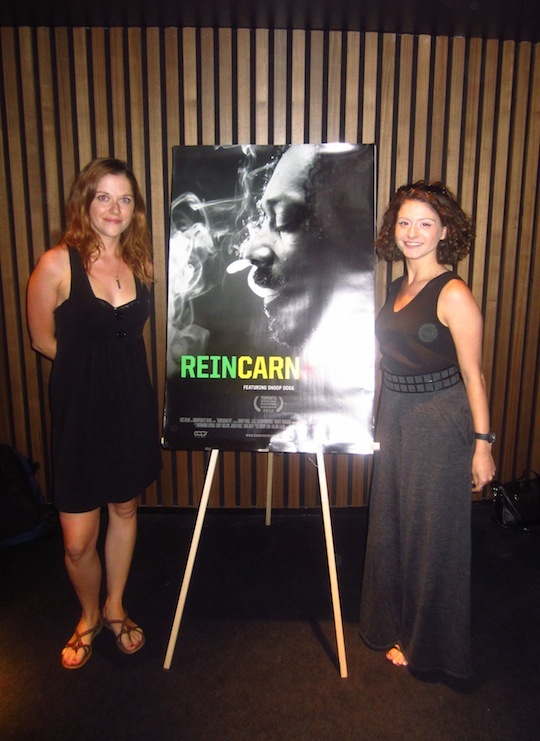 As the closing credits for Reincarnated's world premiere began to roll, I breathed out a sigh of contentment. "Well, I feel like that kind of answers our question," I said to Nina. "Does it, though?" she asked, skeptical. "We could ask him," Nina suggested. "It's not really related to the movie," I said, sheepish. Nina, however, was not so shy. As her hand shot up, I felt my heart pounding in my chest. 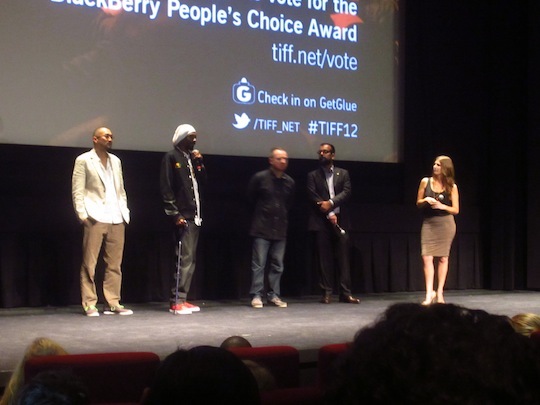 The moderator pointed to her and then Snoop Lion was looking directly at us, only four rows away. "On your most recent tour, why did you choose to include small towns such as Cold Lake, Alberta and Beaumont, Texas? 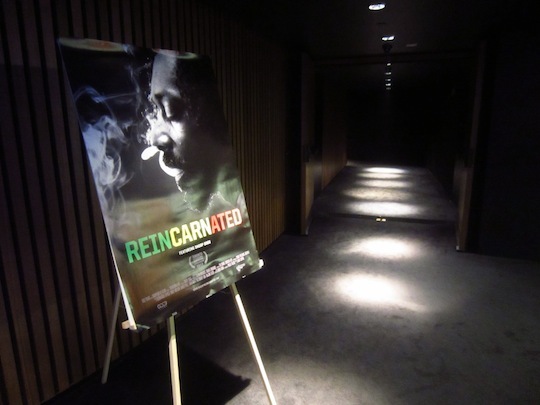 Did it have to do with this reincarnation?" Snoop answered without hesitation. The tour destinations had been chosen deliberately, by him. He believes that it's important to perform in smaller communities because places like Cold Lake are often forgotten--and because so few other artists will go there. "I want to play for the little people, too. I don't want to forget about the little people. I wanna play in jukebox joints for 30 people. I don't forget where I came from. And for those people, I want to bring happiness to them and their towns because they matter too." It was so honest and earnest that I nearly cried tears of joy. 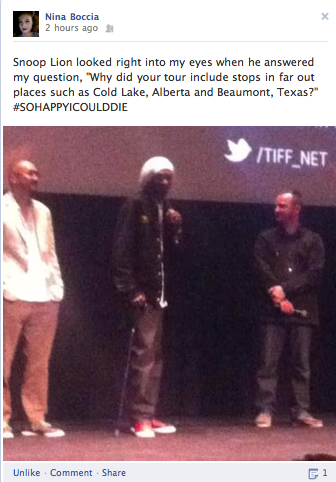 It was totally worth the $40 we paid to attend the gala screening just to hear that response--and to witness Nina speak directly to Snoop. Sooooooooooooooooooooo random! I was there! I volunteered at TIFF and I used my free vouchers specifically to go see this with 2 of my friends, we were the first in line to cash the vouchers in, we went in expecting to have a laugh and take the piss, but the documentary turned out to be better than I expected. I remember you friend's question too! At the time obviously I didn't know it was your friend or even you with your friend at the time...Hahaha I love how randomly connected Toronto is! We've got a lot to be glad for.